CAMBRIDGE, MA--(Marketwired - February 23, 2017) - Elsevier, a world-leading provider of scientific, technical and medical information products and services, today announced that five of its books will receive 2017 textbook awards in the College category from the Textbook & Academic Authors Association (TAA). Three titles will receive the Textbook Excellence Award, better known as a "Texty;" one title will receive the Most Promising New Textbook Award; and one title will receive a William Holmes McGuffey Longevity Award. The awards will be presented during an awards ceremony on June 9, 2017, at TAA's 30th Annual Conference in Providence, RI. TAA announced a total of 23 award winners in eight categories, including seven 2017 Most Promising New Textbook Awards, which recognize excellence in first-year edition textbooks and learning materials; ten 2017 Textbook Excellence Awards, recognizing excellence in current textbook and learning materials in their second edition or later; and six William Holmes McGuffey Longevity Awards, recognizing textbooks and learning materials whose excellence has been demonstrated over time. "Many thanks to the Textbook & Academic Authors Association for recognizing the excellence of our titles already providing value to the health, science and technology communities, as well as the promise of one of our new textbooks," said Suzanne BeDell, Managing Director of Education, Reference and Continuity, at Elsevier. "Our authors will be honored to receive these awards at the Association's upcoming conference." According to one of the judges, "Carboranes is a comprehensive reference book that belongs on the shelf of all inorganic chemists." Another judge commented about Exploring Engineering: "Comprehensive overviews of the various engineering disciplines and great explanations of what engineering is all about and what engineers do. Loved reading this book!" "Matlab: A Practical Introduction to Programming and Problem Solving is an excellent resource for any engineer or scientist that wants to learn MATLAB. 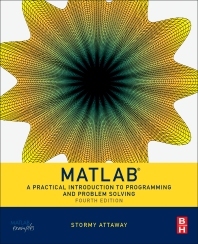 This textbook gradually and clearly introduces the student to many important and useful aspects of MATLAB that are often left for more advanced textbooks," remarked one of the judges. 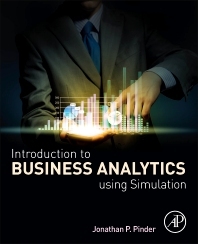 One judge said, "Introduction to Business Analytics Using Simulation is an impressive textbook that uniquely uses simulation methods to introduce business students to decision-making under uncertainty, and from beginning to end, wonderfully detailed, illustrative examples make this complex topic accessible to undergraduates." 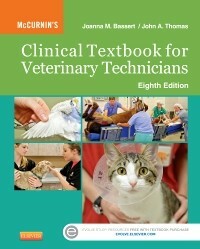 "McCurnin's Clinical Textbook for Veterinary Technicians continues to provide the veterinary technician profession with an important, up-to-date textbook full of relevant information not only for today's veterinary technician student, but for the practicing veterinary technician," noted one of the judges. The Textbook & Academic Authors Association (TAA) provides professional development resources, events, and networking opportunities for textbook authors and authors of scholarly journal articles and books. Established in 1987 by math author Mike Keedy, TAA is the only national, nonprofit membership association dedicated solely to assisting textbook and academic authors. TAA's name was changed from "Text and Academic Authors Association" to "Textbook & Academic Authors Association" in 2016 to offer a clearer identity for TAA in light of the new meaning of "texting" on smart devices today. TAA created the Textbook Excellence Award in 1992 to recognize current textbooks and learning materials. Nominated works must carry a copyright date for the previous or current year, and entries can include learning materials in all mediums. Textbooks in their first editions with publication dates in the previous or current year may compete for a Most Promising New Textbook Award. In 1993, TAA initiated the William Holmes McGuffey Longevity Award ("McGuffey"), to recognize textbooks and learning materials whose excellence has been demonstrated over time. Nominated works must have been in print 15 years and are still being sold. All works are ranked on certain criteria: interesting and informative; well organized and well prepared; up to date and appealing; and teachability. College and elementary-high school books are judged separately. E-book review copies of the award-winning books are available to credentialed journalists upon request. Contact Jelena Baras at sciencereviewcopies@elsevier.com. Elsevier's "McCurnin's Clinical Textbook for Veterinary Technicians, Eighth Edition" by Joanna M. Bassert and John A. Thomas won a 2017 William Holmes McGuffey Longevity Award from the Textbook & Academic Authors Association, one of five winning Elsevier titles. Elsevier's "Introduction to Business Analytics Using Simulation" by Jonathan Pinder won a 2017 Most Promising New Textbook Award from the Textbook & Academic Authors Association, one of five winning Elsevier titles. Elsevier's "MATLAB®: A Practical Introduction to Programming and Problem Solving, Fourth Edition" by Stormy Attaway won a 2017 Textbook Excellence Award ("Texty") from the Textbook & Academic Authors Association, one of five winning Elsevier titles. 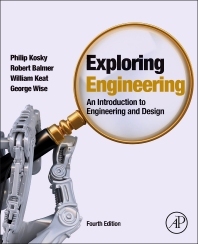 Elsevier's "Exploring Engineering: An Introduction to Engineering and Design, Fourth Edition" by Philip Kosky, Robert Balmer, William Keat and George Wise won a 2017 Textbook Excellence Award ("Texty") from the Textbook & Academic Authors Association, one of five winning Elsevier titles. 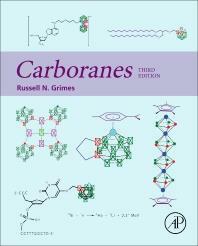 Elsevier's "Carboranes, Third Edition" by Russell N. Grimes won a 2017 Textbook Excellence Award ("Texty") from the Textbook & Academic Authors Association, one of five winning Elsevier titles.